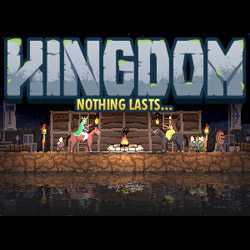 Kingdom is a Simulation and Strategy game for PC published by Raw Fury in 2015. Play as a princess or a prince to protect your empire. You will get on your horse to roam in the kingdom’s lands to face the dangers. There won’t be even a guard near you to defend your life!